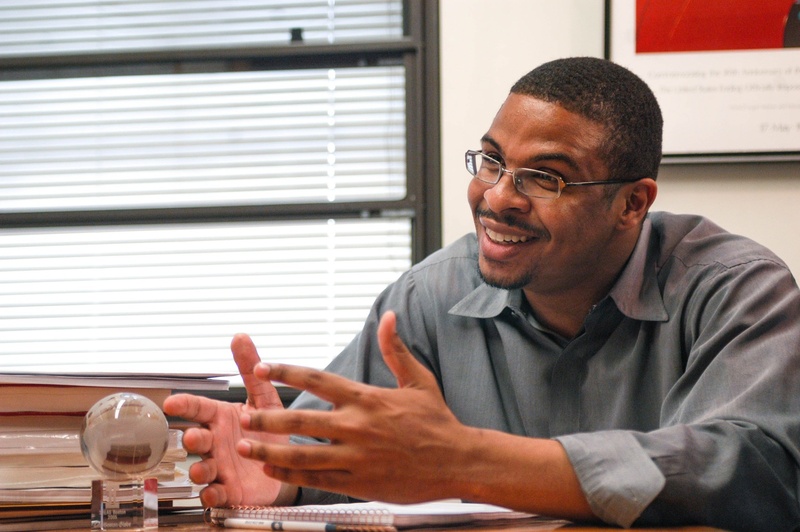 Economics Professor Roland G. Fryer, Jr. is the subject of two more Harvard-led investigations, one into allegations of sexual misconduct brought by a group of women, the other into his spending and lab’s finances, the New York Times reported Friday. In total, Fryer is the subject of at least five investigations — four at Harvard and one at the state level. In May, The Crimson reported Fryer faced one Harvard-led investigation and at least two Title IX complaints that alleged he sexually harassed women in EdLabs, the research group he founded. One of the complainants also filed a separate complaint with the Massachusetts Commission Against Discrimination. The Office for Dispute Resolution — the University group that investigates sexual- and gender-based harassment — issued a preliminary report on the first Harvard investigation this fall. On Monday, The Crimson reported Harvard had opened up a second Title IX investigation into Fryer, which is ongoing. Typically, Harvard opens one ODR investigation per Title IX complaint. Though he denied all allegations of sexual harassment in a May interview, Fryer did not respond to multiple requests for comment for this story. The Times reported the existence of the third and fourth Harvard investigations as well as details of ODR’s findings in one of the investigations. Some former employees at the EdLabs said Fryer fostered an environment characterized by sexual jokes and bullying, according to the Times. In a copy of one report reviewed by the Times, ODR found that in one case, Fryer engaged in “unwelcome conduct of a sexual nature” in six of 32 counts, but the office did not find sufficient evidence to support a retaliation claim. ODR is still investigating another claim of retaliation against Fryer. During the course of its inquiry into Fryer’s behavior, Harvard took interim measures against him. In March, five University officials barred him from EdLabs’s Massachusetts Avenue offices. They installed Susan E. Cook as interim director at EdLabs and required Fryer to copy her on all communications with staff. Harvard spokesperson Rachael Dane wrote in an email Saturday that the University is “aware of and takes seriously concerns” about Fryer’s treatment of EdLabs staff. Because Fryer is a Faculty member, FAS Dean Claudine Gay will receive ODR’s final reports and will have ultimate say over what punishment — if any — the professor receives. The University is not expected to make a final decision until officials have closed all of their investigations, the Times reported. The actions Gay could take against Fryer range from a “verbal warning up to and including termination,” according to FAS policies. Only the Harvard Corporation — the University’s highest governing body — can vote to revoke a professor’s tenure.